1) (Duchess of Inverness, extinct 1873; exemplified to Lady Cecilia Lætitia Buggin, widow or Sir George Buggin, Knt., and eldest surviving dau. 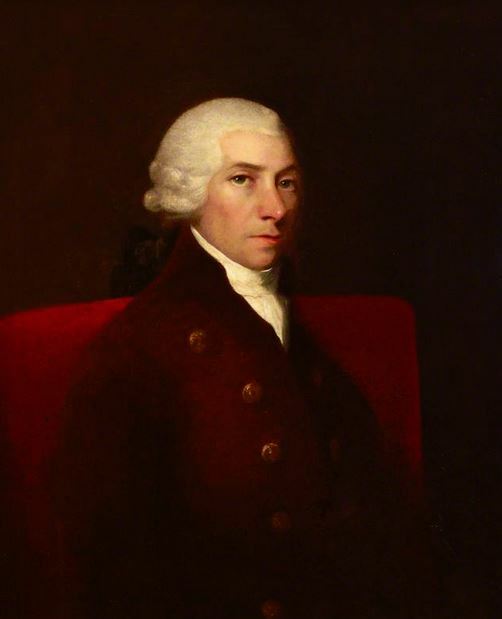 of Arthur Saunders, second Earl of Arran, K.P., by Elizabeth, his third wife, only surviving dau. of Richard Underwood, Esq., or Dublin, on her assuming, by royal licence, 1831, the surname of Underwood in lieu of Buggin). Quarterly, 1st and 4th, az. on a fess erin. betw. three annulets or, a lion pass. of the first, for Underwood; 2nd and 3rd, gu. a fess betw. three cross crosslets fitchee or, for Gore. 2) (London). Gu. on a fess erm. betw. three annulets or, a lion pass. az. in chief a cross crosslet fitchée betw. two annulets ar. 3) (Enfield, co. Middlesex, and co. Stafford). Gu. on a fess ar. a lion pass. az. betw. three annulets, and in chief a crosslet fitchée or. 4) (Buxley and Haveningham, co. Norfolk). Sa. on a fess erm. betw. three annulets or, a lion pass. of the field. Crest—A bind’s head or, gorged with a chaplet vert. 5) (Henlon, co. Bedford; Rev. John Hanmes Underwood was Vicar or Bosbury). (Aylmer John Underwood, Esq., of The Laurels, Haven Green, Ealing, co. Middlesex). Gu. on a less cun. betw. three annulet., or, a lion pass. az. Crest—A hind’s head erased or, encircled by a green fillet of leaves. Motto—Omnes arbusta Juvant. 6) (Reg. Ulster’s Office). Gu. on a fess erm. betw. betw. three annulets or, a lion pass. of the first, in centre chief a cross crosslet fitchée of the third. This is a locational, habitational, and/or topographic surname denoting a person who lived in or was from a locality that was “of the under wood”, a place at the foot or beginning of the woods or forest in medieval times and the Middles Ages in England and Scotland. .In England, there were places named Underwood in Nottinghamshire and Derbyshire. In Scotland, there were places so named in the parish of Symington and Ayrshire. It derives from the Old English word wuda, meaning wood and the word under, meaning below or under, and hence translated to “below the trees of a forest”. Some spelling variants or names with similar etymologies include Underwoood, Uunderwood, and a handful of others. The last name Underwood ranks 535th in popularity in the United Status as of the 2000 Census. The name ranks particularly high in the following four states: Tennessee, Alabama, Oklahoma, and West Virginia. The surname Underwood frequency/commonness ranks as follows in the British Isles: England (612th), Scotland (1,321st), Wales (561st), Ireland (3,961st) and Northern Ireland (4,384th). In England, it ranks highest in counties Northamptonshire and Leicestershire. In Scotland, the surname ranks highest in Dumfriesshire. In Wales, it ranks highest in Pembrokeshire. In Ireland, it ranks highest in counties Kildare and Sligo. In Northern Ireland, it ranks highest in county Antrim. The name is also present throughout the remainder English speaking world: Canada (2,417th), New Zealand (), Australia (914th), and South Africa (5,624th). The 1890 book Homes of Family Names by H.B. Guppy, states the following in regard to this surname: “Northamptonshire is at present the principal home of the Underwoods. Mr. Underwood of Higham, attorney, owned a manor in Irtlingborough last century. Richard Underwoode was the incumbent of Barton Segrave in the reign of Henry VI. (Wh.). The name also occurs in the neighbouring counties of Beds and Bucks. In the 13th century Underwod or Underwode was a common name, being mostly found in Oxfordshire, Hunts, Cambridgeshire, Essex, Suffolk, Lincolnshire, etc. (H. R.). There is a Derbyshire township thus called”. The first bearers known to history was William de Underwode who was documented as living in Bury St. Edmunds, Suffolk, England in 1188 AD. William Underwude is listed in the Assize Court Rolls of 1219 AD. Robert Underwode was recorded in the Close Rolls in 1248 AD. The Hundred Rolls of 1273 AD, a census of Wales and England, known in Latin as Rotuli Hundredorum lists three bearers of this surname: John Underwode (Oxfordshire), Hugh (Cambridgeshire), and Alexander de Sub-bosco (the latinized version) (Cambridgeshire). William under the Wode was recorded in the Subsiby Rolls of Staffordshire, England in 1332 AD. The Poll Tax of Howdenshire in 1379 AD lists one bearer of this last name: Robertus Undrewode. A one John Undirwode was recorded in Prestwick, Scotland in 1470 AD. An early marriage involving this surname was Benjamin Underwood to Margrett Buxton at St. Dionis Backchurch. 3) Lieutenant Joshua Underwood was born in Watertown MA in 1682 and had issue as follows: Mercy, Jonathan, Joshua, Joseph, Thankful, David, and Mary (Robbins). 4) Jonathan Underwood was born in Watertown, MA in 1686 and had issue as follows: Joshua, Samuel, Timothy, Jonas, Nehemiah, and Joshua. Jonathan’s son Nehemiah was born in Watertown, Massachusetts in 1721. He married Anna Marcy in Connecticut in 1744 and had the following children with her: Daniel, Nehemiah, Elias, Anna, Elisha, Olive, Josiah, Lemuel, Marsilva, and Samuel. His son Elias Underwood was born in Woodstock, Windham, CT was born in 1748 and married Anna Carpenter. He had the following issue with her: Zerviah Sarah (Rathbun), Eliab, Anna (Delong), Evander, Julius, Electa, and Harmon. His son Evander was born in Woodstock, Connecticut in 1780. He married Jerusha Wood and had two children with her: Sophia (Carr) and Norman. Norman Underwood was born in Freetown Township, New York in 1818. He married Mary Rosalia Edwards and had issue with her named Hartie, Julia, Rosanna (Spade), Olive Melissa, Luther, and Ervin. His son Ervin was born in Jones, Iowa in 1867. He married Nellie May Cole and had issue with her as follows: Lester Freeland, Gladys Ellen, Philip, Eber Clifford, Ruth May, Delbert Ervin, and Wayne Eugene. His son Delbert Ervin Underwood was born in 1910 and had sons named Gene, Mark, and Oren. His son Mark married Debbie Stroup and had children with her named Cory, Craig, and Melody. The other son Oren married Carla Garman and had issue with her named Brenda, Brian, and Quentin. Reverend Alexander Underwood (born in Baltimore, MD in 1688). 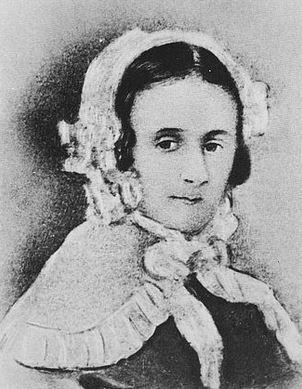 He married several times and was the father of the following children: Mary (Cook), Samuel, Thomas, Ann, Elizabeth (Ailes), Elihu, Joseph, William, Jane (Smith), Olive (Cox), Benjamin Enoch, John, and Ruth (Morthland). The Dukedom of Inverness was a title in the Jacobite Peerage of Great Britain that was held by John Hay of Cromlix. 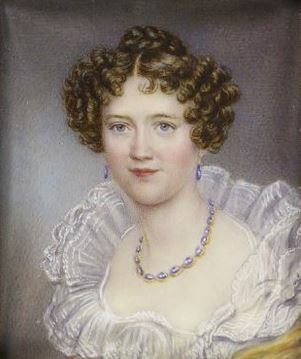 Lady Cecilia Underwood (1785-1873) who was the 1st Duchess of Inverness married Price Augustus Frederick, Duke of Sussex, son of King George III. Mary Underwood was buried in St. Michael’s parish, Barbados in April of 1679. Joseph Underwood, age 23, came to Virginia aboard the Bonaventure in January 1634. Peter Underwood, age 22, came to New England aboard the Rebecca in 1635. John Underwood, age 19, came to Virginia aboard the America in June 1635. Robert Underwood, age 30, came to Virginia aboard the Paule in July 1635. Andrew Underwood, age 22, came to Virginia aboard the Assurance in July 1635. Martin Underwood, age 38, came to New England aboard the Elizabeth in 1634. Martha Underwood, age 31, came to New England aboard the Elizabeth in 1634. Marable Underwood, a maid servant, age 20, came to New England in 1637 (came with Richard Caruear of Skratby?). Other early settlers in colonial America bearing this surname include: James Underwood (Massachusetts 1630), Casander Underwood (Virginia 1633), Samuel Underwood (Virginia 1704), James Underwood (Virginia 1705), Abraham Underwood (Virginia 1714), and Anthony Underwood (New England 1720). In Canada, John Underwood came to Shediac, New Brunswick from Newport, Rhode Island in 1783 who was born in 1747. He was a United Empire Loyalist (a person from America who remained loyal to the British Crown during the American Revolution). In Australia, one of the first bearers with last name was Michael Underwood who came to Adelaide aboard the Orleana in 1840. In New Zealand, one of the earliest bearers of this surname was Thomas Underwood, who came to Wellington in 1841 aboard the Mandarin. 1) An anvil supporting a hammer proper. Motto: Aut malleus hodie aut incus cras. 1) Honorable J.W.H. Underwood of Georgia, Cleveland, White County. He bore the arms of William Cantrill of Jamestown, Virginia. Argent, a pelican in her piety, in her nest sable. Perhaps the same crest as well? Crest: A tower argent, port sable. We have 6 coats of arms for the Underwood surname depicted here. These 6 blazons are from Bernard Burke’s book The General Armory of England, Scotland, Ireland, and Wales, which was published in 1848. The bottom of this page contains the blazons, and in many instances contains some historical, geographical, and genealogical about where coat of arms was found and who bore it. People with this last name that bore an Underwood Coat of Arms (or mistakenly called the Underwood Family Crest) include: Cecilia Lititia Underwood, widow of Mr. Buggin, bore arms of Underwood quarterly with Gore, 15 March 1831. There are hundreds of notable people with the Underwood surname. This page will mention a handful. Famous people with this last name include: 1) Carrie Marie Underwood (1983) who is an American singer, songwriter, and actress from Muskogee, Oklahoma who is known for her country music hits and three Grammy Awards, 2) Cecil Harland Underwood (1922-2008) who was the 25th and 233rd Governor of West Virginia from 1957-61 and 1997-2001, 3) Edmund Underwood (1828-1863) who was a soldier who fought in the Mexican American War and was later an officer in the U.S. Army, serving in the American Civil War, born in Pennsylvania, 4) Edmund Beardsley Underwood (1853-1928) who was a Commodore in the US Navy, son of the previously mentioned Edmund, born in Humboldt Bay, California, also serving as the Acting Governor of America Samoa from 1903 to 1905, 5) Elizabeth Underwood (1794-1858) who was a pioneering land owner who founded the town of Ashfield, New South Wales, Australia, who came from England aboard the First Fleet (fleet of 11 ships that went from England to Australia to found a penal colony), 6) Captain Gordon Waite Underwood (1910-1978) who was a US Army Navy captain awarded the Navy Cross for his service in World War II, born in New York and raised in Portland, Oregon, 7) Henry Jones Underwood (1804-1852) who was an English architect born in Bristol who mainly worked in Oxford, mainly on churches, 8) Joseph Rogers Underwood (1791-1876) who was a judge and lawyer who was a member in the US House of Representatives from Kentucky from 1835-1843 and US Senator from Kentucky from 1847-1952, born in Goochland County, Virginia, 9) Robert Anacletus Underwood (1948) who was a delegate to the US House of Representatives from Guam from 1993-2003 and became president of the University of Guam in 2008, 10) Thomas Underwood (1863-1948) who was a building developer who was born in Asfordby, England who became the 13th Mayor of Calgary in 1902, and 11) Thomas Rust Underwood (1898-1956) who was a US Senator from Kentucky from 1951-1952, born in the city of Hopkinsville. The two main heraldic symbols depicted within the Underwood Coat of Arms (erroneously called the Underwood Family Crest by those unfamiliar with heraldry and genealogy) are the annulet and lion passant. For easy recognition of the items on a coat of arms, and hence the quick identification of the owner, bold simple shapes are best. Hence, simple geometric shapes are often used for this purpose, and the annulet is a good example, being a circular ring of any color. They also appear interlaced or one within the other, both of which are very pleasing additions. Wade believes that these were one of the symbols of ancient pilgrims. There can be no animal more clearly associated with Heraldry than the lion, majestic King of the Beasts. Originally it appeared only in one pose, erect, on one paw, with the others raised but such was the popularity of this figure, and the need to distinguish arms from each other, that it soon came to be shown in an enormous range of forms. The lion passant is an example of these modified form, showing the creature on all fours, as if walking proudly. In common with all reprensentations of the lion it can be taken to be an “emblem of deathless courage”.